Forestry England manages and cares for the nation’s 1,500 woods and forests. As England’s largest land manager, we shape landscapes and are enhancing forests for people to enjoy, wildlife to flourish and businesses to grow. For more information visit forestryengland.uk. Forestry England is an agency of the Forestry Commission. 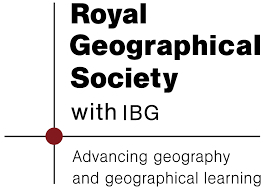 The Royal Geographical Society (with the Institute of British Geographers) is the UK’s learned Society and professional body for geography and geographers. It has charitable status and is also a membership organisation with over 16,000 Fellows and Members. The Society is one of the largest – and recognised as the most active – scholarly geographical societies in the world. Photography has been at the heart of the Society’s work for over 130 years, led by John Thomson, FRGS, who was the first photo-journalist in modern times, a photographer working in a documentary style and bringing awareness of the people and places of the Far East, and later street London, to nineteenth century audiences for the first time. Earth Photo will draw on the Society’s photographic heritage of over 500,000 images held within its Collections, from the earliest daguerreotype image of 1851 to the latest work by contemporary photographers. Parker Harris is an independent organisation creating, managing and promoting visual art projects. Established in 1990 Parker Harris run some of the largest and longest running art projects in the UK in partnership with organisations which include trusts, foundations and corporates. Parker Harris have been advisors to the Natural History Museum on projects including the Wildlife Photographer of the Year and on press, marketing and audience development and have been project managers of the Environmental Photographer of the Year. Parker Harris will project manage and lead on press and marketing for Earth Photo, working closely with the project partners and sponsor. Need help with your entry? 130 queries in 1.059 seconds.